John Bogle, who simplified investing for the masses by launching the first index mutual fund and founded Vanguard Group, died Wednesday, the company said. He was 89. Bogle also believed that the corporate structure of most fund companies poses an inherent conflict of interest because a public fund company could put the interests of investors in its stock ahead of those owning shares of its mutual funds. Vanguard has a unique corporate structure in which its mutual funds and fund shareholders are the corporation’s “owners.” Profits are plowed back into the company’s operations and used to reduce fees. Vanguard offers both index and managed funds but remains best-known for its index offerings. Vanguard’s original index fund, now known as the Vanguard 500 Index, is no longer the company’s biggest but remains among the company’s lowest-cost funds. He engineered a merger with a boutique firm that was making huge sums but was ousted after the stock market tanked in the early 1970s, wiping out millions in Wellington’s assets. He said he learned an important lesson in how little money managers really know about predicting the market. 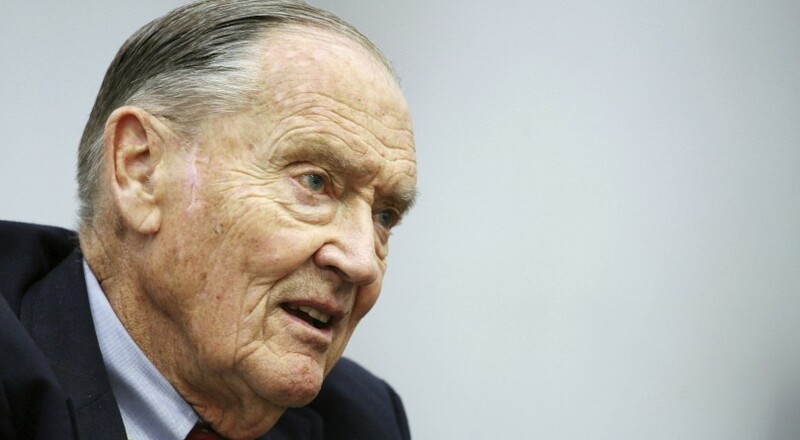 “Jack Bogle had unwavering passion for America, our capital markets, and most of all our Main Street investors,” said Securities and Exchange Commission Chairman Jay Clayton. Bogle is survived by his wife, Eve, six children, 12 grandchildren, and six great-grandchildren.